No other plants give the gardener more beauty, or a wider range of variety, color and flowering times than flowering bulbs. They produce flowers of incredible colors from one end of the growing season to the other. No other plant rewards you with so much pleasure for so little effort. By planting heat-loving, summer-blooming bulbs such a s begonia, canna, calla lily, dahlia, and gladiolus, you can enjoy the beauty of the tropics and open your borders to the exotic flowers and foliage of South Africa, Mexico, and other equatorial locales without leaving your own backyard Most summer-blooming bulbs are tender bulbs, which means, in areas with sustained frost, they require lifting from the ground and storage indoors for the winter. 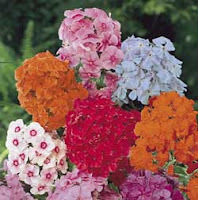 However, you can easily use some of the inexpensive bulbs as annuals and replace them each year with other bulb varieties and colors, if you don't want to dig them up each fall. Although spring-blooming bulbs receive lots of glory and fame, a fall garden merits its own attention. Fall-blooming bulbs are unexpected, colorful additions to your garden. Grown with a backdrop of seasonal trees, fall-bloomers create a spectacular and exhilarating autumn landscape. Enjoy resurrecting your garden's brilliance with our fall-blooming varieties. Light requirements: When choosing a site for your bulbs bear in mind their preference for warmth and sunlight. 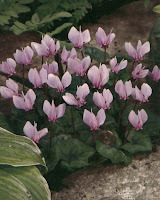 Some bulbs such as caladiums prefer shade while others such as gladiolus and dahlias prefer sunny spots. Make sure to match your bulbs to the light conditions that allow them to perform their best. For light specifications, please see the plant tag or search for your plant on our site and review its "quick stats." Soil requirements: Two of the most desirable qualities are good drainage and an abundance of organic matter (humus). You may have to promote drainage, especially if a puddle of water stands on the site of your bed. To help determine your soil type, scoop up a handful of soil and squeeze it. If it retains the shape of your hand, you have soil with a high proportion of clay and you need to add organic matter to promote drainage. If your soil is mostly composed of clay, it may be necessary to build raised beds. If the soil doesn't hold together at all, your soil is sandy and will need organic matter to help hold moisture. The addition of organic matter and humus will be quite beneficial to the success of growing bulbs. Garden Planning: Color and time of bloom are two of the most important elements to consider when planning your bulb and garden planting. It's helpful to make a sketch of your garden before planting. Choose which bulbs to plant and their locations based on their height, color, and blooming time. In areas with sustained frost periods, keep in mind that most summer bulbs planted in spring are tender and must be dug up and stored before cold weather sets in. Mixing summer-blooming bulbs with other plants of different textures and colors gives interest in the garden beyond the blooming period. Bulbs also need a site that is protected from the north and west winds, if possible. Wind protection will make your blooms last longer. Make sure to plant tall blooming bulbs in a protected area to prevent wind damage or plan on staking plants upright. Determining Bulb Quantities: One you've chosen a site, you will need to calculate how many bulbs you will n eed to plant to fill the space. Remember that bulbs look best in groups: A single bulb is a lonely bulb. A good rule of thumb is to plant small bulbs 4" apart (9 bulbs per square foot) and larger ones about 6" apart (4 bulbs per square foot). Therefore, to cover 25 square feet you will need approximately 225 small bulbs or 100 large ones; to cover 50 square feet you will need approximately 500 small bulbs or 200 large ones. 1. Prepare your soil. Good soil preparation is the first step to successful bulb gardening. Make sure the soil is loose and porous. Well-drained soil is a must or bulbs will rot. Turn the soil over and work organic matter such as peat moss or compost through to allow good root formation. 2. Space your bulbs. Spacing depends largely on the effect you are trying to achieve. An effective planting technique is to plant bulbs in groups or clusters rather than in individual lines. Space bulbs according to color with the softer colors in the front and the more vibrant colors in the background. Group bulbs according to height and in sequential bloom pattern for a long-lasting show of color. Also, consider how much growth is expected for larger species and give them plenty of room to avoid the task of dividing as they mature. You can also achieve a naturalized planting look by taking a handful of bulbs and tossing them in your planting area. Plant them where they land rather than in exact spaces. 4. Work bulb food, bone meal or rock phosphate into the planting area or hole to encourage blooms and root development. Work well-rotted compost into the soil rather than directly touching the bulbs when planting. 5. Plant bulbs firmly in the soil, pointed end up, and avoid damaging fleshy roots, if present. If you are unsure which end to point up, plant the bulb sideways and it will grow in the right direction. Cover bulbs with soil. 6. Water well. If the weather is dry, water the bulbs regularly during the growing period. 7. Label your bulbs as you plant them. Use labels that are big enough so that two to three inches of the label is below the soil level. Labeling is a great way to remember which varieties you planted. 8. Mulch with shredded leaves or bark to conserve moisture, maintain soil temperature, and suppress weeds.